Daylight Savings - Time to Jump Ahead! ~ My Baby Sleep Guide | Your sleep problems, solved! 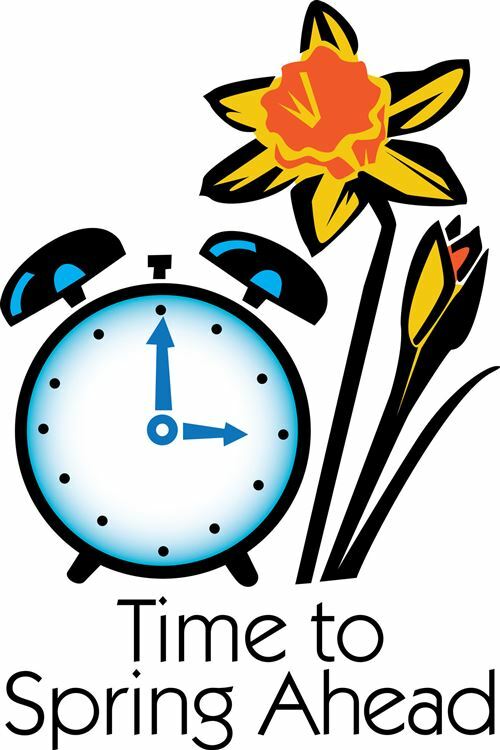 Daylight Savings - Time to Jump Ahead! I really, really don't like daylight savings. I think it is silly that we still have it, and I've seriously considered moving someone else, like Arizona, where they don't have this darn skipping back and forth each year. 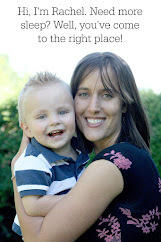 It was a little annoying when I was younger, but now that I've got kids, it's SUPER pesky! When is Day Light Savings? This year, 2017, if you're in Canada or the US, you'll have to move your clock forward 1 hour on March 12. For my friends in Europe, you get to make the switch on March 26. What are some time changing options? There are a few different things you can do with daylight savings depending on your child's current sleep schedule, your family's schedule etc. Keep things the same. I've done this before with my kids. They were waking up around 7 and I thought 8 sounded pretty blissful and dreamy (don't we all!). We generally don't have any sort of events like public school that control our schedule so we can do this. And my kids sleep great doing a 7-7 or 8-8 routine. Well, it starts off around 8-8, but it usually moves at least 30 minutes earlier (how do they know!!) in a few weeks time. If you've got an early riser, then keeping things the same might help you out, although unless your child has problem with an early sleep phase, you'll probably have to adjust bedtime too so it isn't too late (and likely adding to the issue). Move everything ahead 1 hour. This is what most people do. They've got school or work etc and they need their children's schedules to stay the same. For some kids, they also need it to stay the same because waking too late in the morning will end up causing sleep issues (especially if the morning wake up moves earlier and earlier and parents don't adjust bedtime). I don't know how they know, but light change or no light change, kids seem to know if they are waking or going to sleep early/late. I've traveled through time zones dozens of times with my kids and somehow, they know, EACH AND EVERY TIME. Do something in the middle. This one is a bit self explanatory. If it works for you and your child(ren), then it's something to consider (especially because some kids will slowly wake up earlier and earlier as they get closer to the next time change). How do I Spring Forward for Daylight Savings? 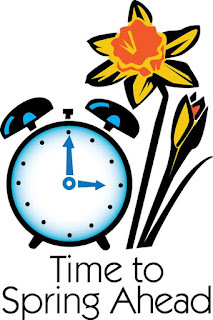 With either the full or partial spring forward, you can take it slowly or quickly. With the quick change, you'll change all the clocks in your house the night before and get your child up at their regular time by the clock (so if they used to get up at 7 am, you get them up at 7 am, even though this is actually what used to be 6 am). Don't forget to turn your alarm clock on so you don't all sleep in! Most kids will adjust in 2-7 days and start to wake at the earlier time by themselves and be ready for bed at the new time. Some kids, and you'll figure this out as the years go by, will do better with slow change. For those children who are really sensitive or have a hard time with any kind of routine change, you may want to take things more slowly. Wake your child up 5-15 minutes earlier every 1-3 days (you're probably ok making it earlier each day, but there are some really sensitive kids out there!). With most kids, you'll have great success adjusting their entire routine (meals and sleep) to the new morning wakeup time of the day. So if you move from 7:30 to 7:15, you'll do every activity of the day 15 minutes earlier, including bedtime. There are a few kids out there who have very strong internal clocks and get really stuck on their bedtime hour and have a hard time falling asleep if it is moved earlier. For these kids a few days usually makes all the difference. I personally prefer making the change quickly. Not only do my kids do fine with a quick change, but if I can do things quicker and smoothly, I'll likely do that. Who wants to adjust things for a week(I've even heard of some people adjusting things over a whole month!) if you can do it successfully in 1 day. I definitely don't! Remember, our children have strong internal clocks and much of this is controlled by their daily routine and by sunlight. So it's especially important during this transition that you keep to a normal daily routine (routine feeding and sleep times, in the least) and that you keep sleep times dark and have plenty of light and sun during waketimes, especially first thing in the morning. Yeah, I despise these time changes. Is it possible for the time change to result in more night wakings, just because it messes up circadian rhythms, etc? My 10 month old has woken twice each night since Sunday, and I'd love to blame it on DST. You are right, twice is not cool! Yes, sometimes time changes can result in an extra wakeup (or other funky issues) for a few days. Just try not to reinforce the issue too much. Going in shortly and popping in a pacifier and patting a back is probably ok. Hopefully the problem has gone away. Hi Rachel, I was making a leaflet and tried to google a picture of a sleeping baby. I came across this picture which originates from your website (https://www.google.com.hk/url?sa=i&rct=j&q=&esrc=s&source=images&cd=&cad=rja&uact=8&ved=0ahUKEwiZ1KftxJnTAhUCk5QKHdvLBJAQjRwIBw&url=http%3A%2F%2Fwww.mybabysleepguide.com%2F2012%2F12%2Fshould-my-baby-sleep-with-white-noise.html&psig=AFQjCNGclQaCQySyiYegPXDwJTPdHMVGIQ&ust=1491901641180335). I was wondering if I could put this picture in my leaflet? Sorry natasha, I am not able to share that photo since it isn't my personal one (one I have permission to use myself).